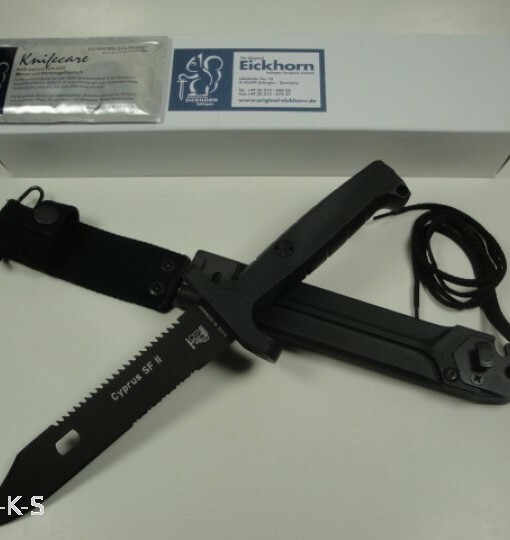 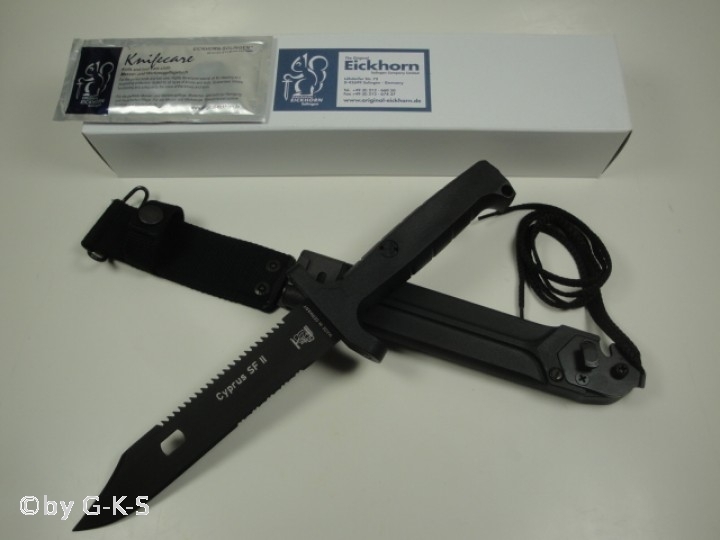 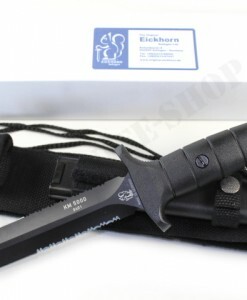 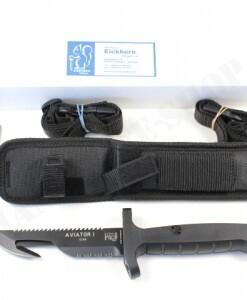 Eickhorn Infantry combat knife made in Germany. 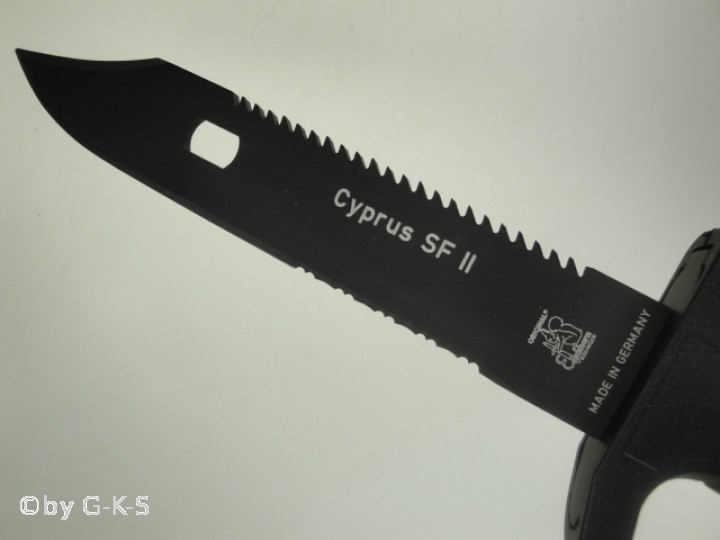 This combat knife was produced according to the strict instructions of the Cypriot commando units. 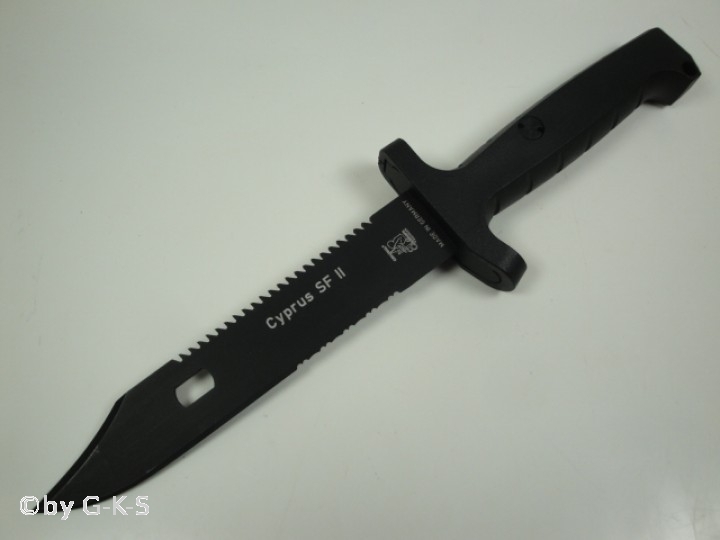 Blade made of 55Si7 spring steel (HRC). 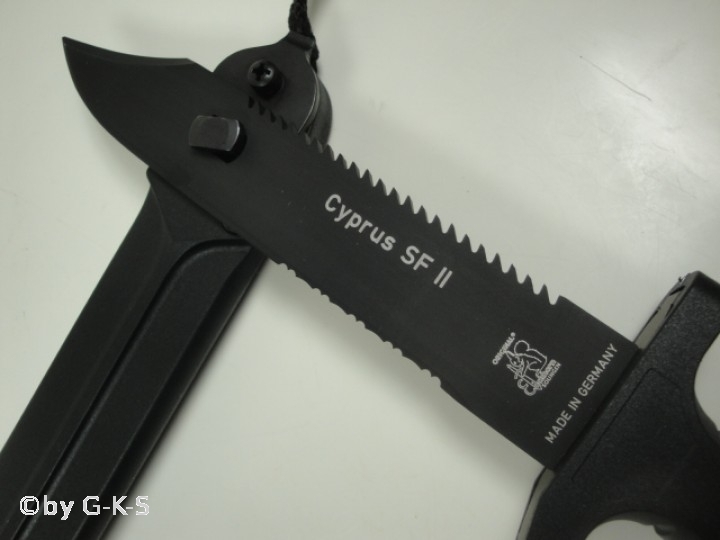 Back saw. 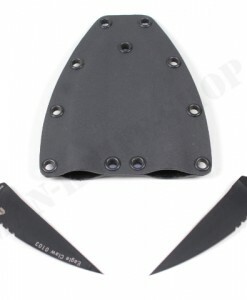 Glass breaker at grip end. 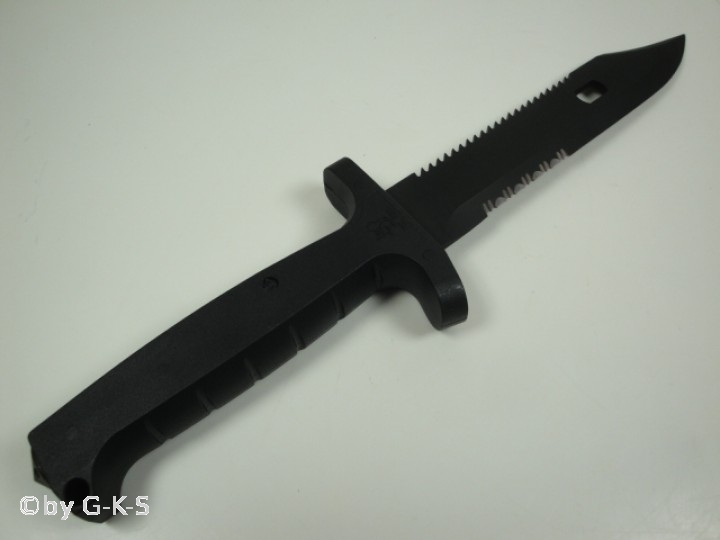 Fibre-glass reinforced grip. 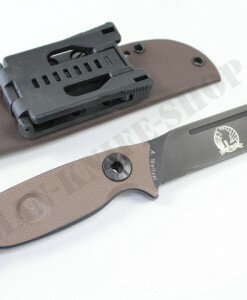 Due to the U-shaped clip the polyamide sheath can also be worn on U.S. military service belts with holes. 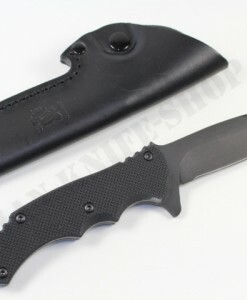 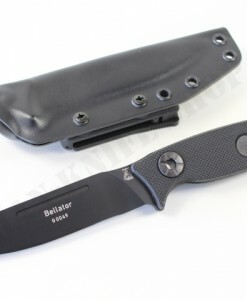 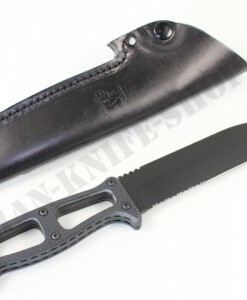 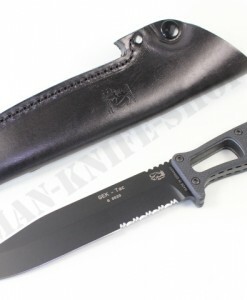 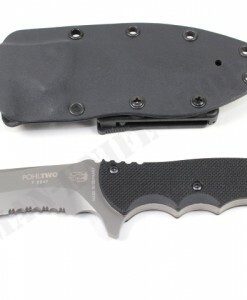 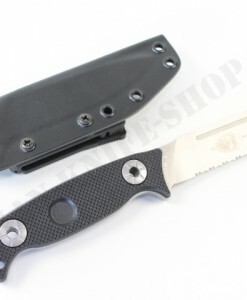 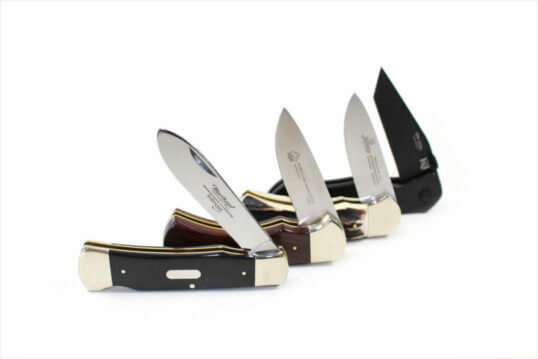 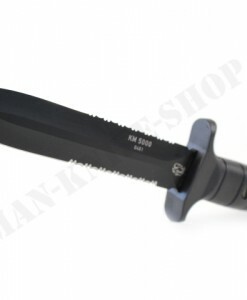 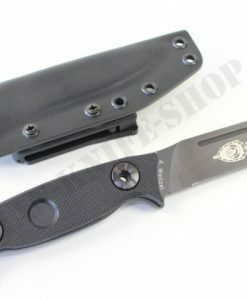 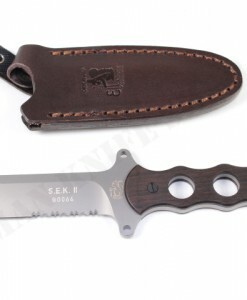 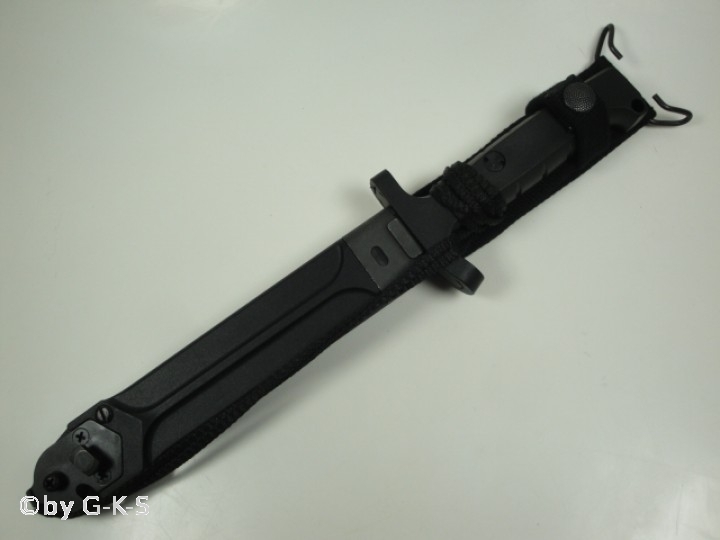 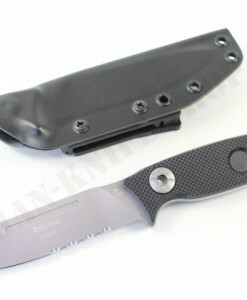 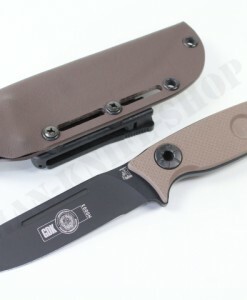 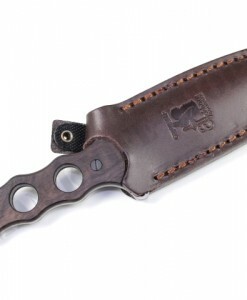 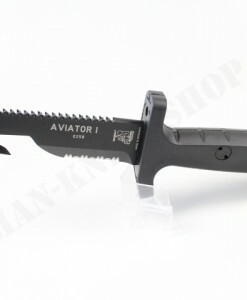 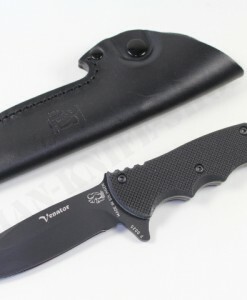 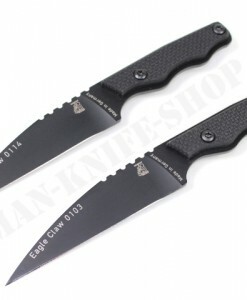 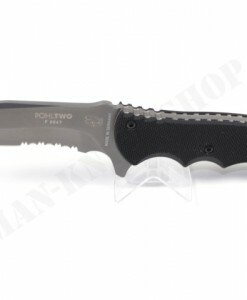 Don’t miss this awesome German Infantry Combat Knife in your knife collection.